Opportunities for sightseeing and other activities in this scenic area are plentiful and appeal particularly to nature lovers who enjoy hiking and bird watching. 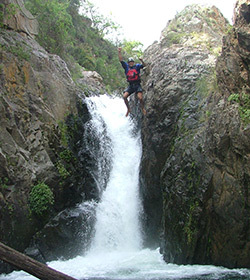 Pristine rivers and dams also offer excellent fly-fishing opportunities. 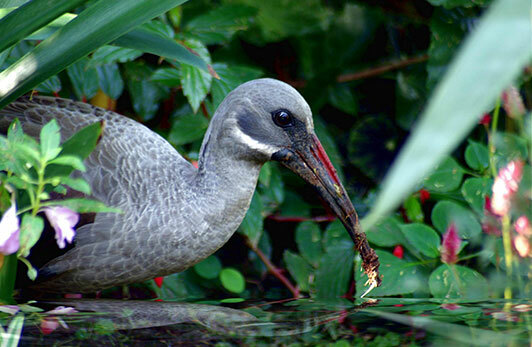 There are wonderful tea gardens to visit, local cheese to sample and rafts to cruise the waters of the Ebenezer Dam. One of the scenic highlights is the Debegeni Waterfall, which means "place of pots" in North-Sotho. 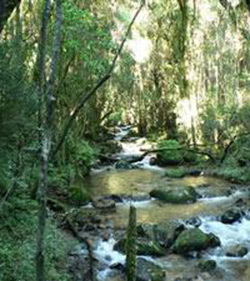 Situated at the foot of the Magoebaskloof, the waterfall is a favorite picnic spot in summer. Equally scenic is the Wolkberg Wilderness Area, which lies south of the Haenertsburg village.Almost 20 000 hectares of wilderness country, consisting of extensive indigenous forests, pristine grasslands, towering misty peaks and many waterfalls tumbling into crystal clear streams. No fires are allowed. Vehicles must be left in the parking area. The entrance fee is R5.00 pp. 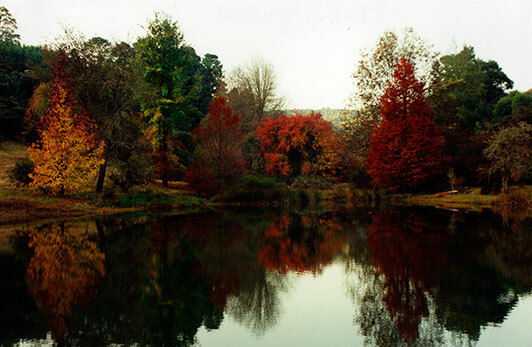 In Magoebaskloof area are the famous Cheerio Gardens, where hundreds of different Japanese flowering cherry trees come into spectacular bloom during late September / early October. 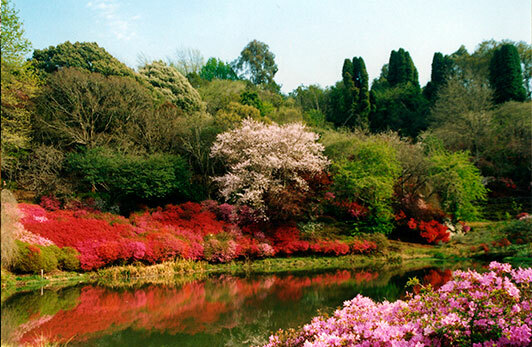 In addition, most other gardens in the vicinity are ablaze with the vibrant colours of azaleas, crab apples and other spring-flowering shrubs and trees. 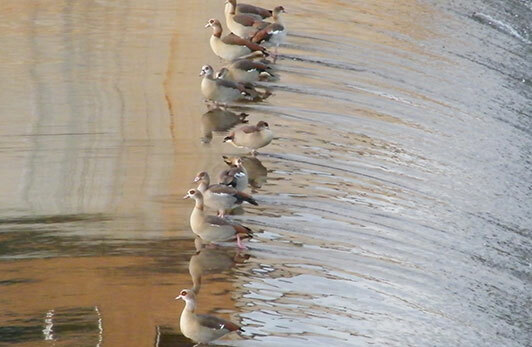 The River Capture site can be found nine kilometres down the Georges Valley Road, at the turn off to the Wolkberg Wilderness Area, a point on the Letaba River where a prehistoric act of "piracy" occurred. It was here, many long years ago that the Great Letaba River eroded back into the hills and captured the headwaters of the Mohlapitse River. Today the Letaba River flows fast and clear at this spot, whereas the Mohlapitse, deprived of the previously strong flows from the Broederstroom and the Helpmekaar Rivers is now a soggy and confused wetland uncertain of how it will gather strength and flow down into the distant Olifants River. The McNeil Clivia Collection goes back to 1962 when Gordon McNeil purchased clivias from G.I.Blackbeard of Grahamstown, Eastern Cape. 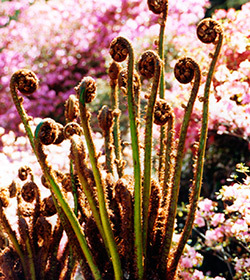 These specimens were planted under a canopy of indigenous forest on the farm Cyprus, in the Lekgalameetse Nature Reserve in the wild Drakensberg escarpment. There they flourished and variations were painstakingly propagated using hand pollination, natural cross pollination and wind pollination. Because of the plant concentration, the numbers and the relatively long period of establishment, the collection offers great diversity within an amazing setting. 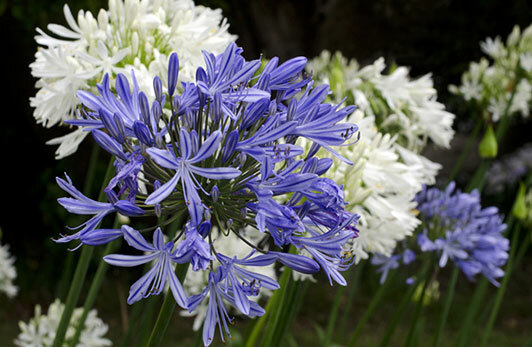 The plants usually bloom from the end of August to the beginning of October. They may be viewed and purchased in this original setting by appointment, or visitors are welcome to meander around the Coach House gardens where a selection from the Cyprus farm collection has been creatively transplanted. 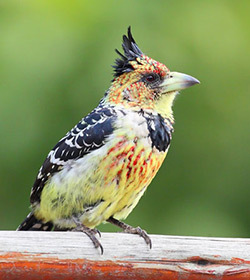 Bird life in the area is prolific, with Knysna and Purple Crested Louries, Crowned and Crested Eagles as well as the rare Black Fronted Bush Shrike, which according to the authorities, only occur here and in the Chimanimani Mountains on the Mozambique/Zimbabwe border. 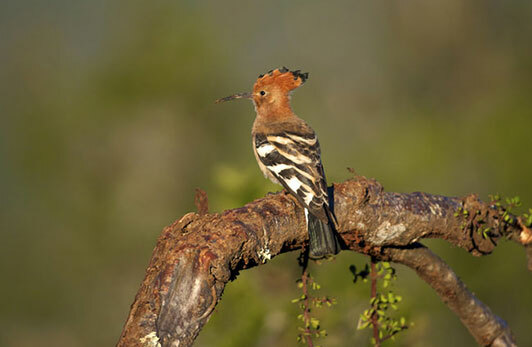 Mountain grasslands and forest habitats as well as the local dams provide opportunities to see birder’s specials such as Narina Trogon, Green Twinspots, Buffy –streaked Chats and Cape Parrots. Only one nesting pair of the endangered Blue Swallow has been located in the Haenertsburg region – one of the 48 breeding pairs located in South Africa and Swaziland. 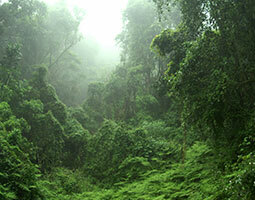 Our area could easily boast the richest diversity of tree and plant species in South Africa. The reason for this great variety can be ascribed to the differences in altitude, rainfall, and soil types. South of Tzaneen and in the rich farming area of Letsitele, exotic fruit trees like Avocado, Litchi, Mango, Macadamia, Pecan Nut, and Citrus are grown. The Marula Tree – Standing proudly on the sun-drenched African plains, is a tree of such mystery and splendour, it portrays what Africa truly represents. The magnificence of this sub-equatorial tree intertwines uniquely with the rich tapestry of Africa’s many cultures and diverse natural life. It is unique amongst African trees as so many of its properties and parts are used for products diversely marketed in industries such as cosmetics, health products, nuts, food, liquor, tea, fruit, juice, confectionary and dried fruit. The Marula tree is one of the most valued indigenous trees amongst Southern African communities, especially for its exceptional healing properties. The true gold of Africa is not buried deep within her warm earth but is growing in the golden sunlight of her vast plains. The Marula tree (Sclerocarya caffra) is a member of the mango family and grows wild in northern South Africa and parts of eastern Botswana. Marula trees are protected in South Africa and there are many legends associated with this tree that yields so many usable products and has a specific gender. For example, the Venda people believe that powdered bark from a female tree given to a pregnant woman will ensure that her child is female and vice versa. The Modjadji Cycad – Encephalartos Transvenosis - The largest concentration of a single species of cycads in the world has been protected for three centuries in the royal garden of the mystical Rain Queen Modjadji – an area declared a national monument in 1936. The cycads are living fossils and are survivors of a primeval plant group, the Cycadales, which was the dominant type of vegetation approximately 300 million years ago when dinosaurs still roamed the earth and, most probably, formed part of the diet of some of these giant reptiles. This specific species is one of 29 species in South Africa and is protected – a permit is required to own one of these very sought after plants. The average cycad grows to six metres in height some reaching the height of 13 metres. These giants have also given rise to a great many mysteries and legends. 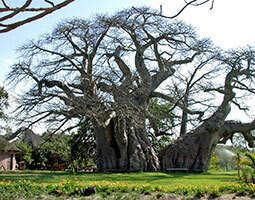 The Sunland Baobab, enormous baobab tree (Adansonia digitata), is thought to be one of the biggest specimens in the world and can be seen at the Sunland Nursery between the village of Modjadjiskloof and Ga-kgapane. The tree has a circumference of 46, 8 metres and has been estimated to be 6 000 years old. The existing cavity in the tree has been created into a unique pub, which can accommodate fifteen people. 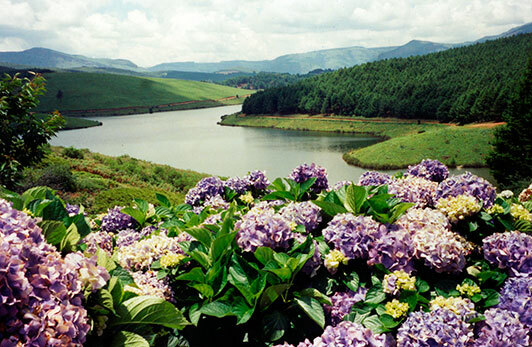 In the south of the Greater Tzaneen area, the Wolkberg is part of the massive Drakensberg range.. The Reserve provides ideal tropical rain forest wilderness trails and a perfect destination for backpackers and mountain climbers. One of the largest reserves which grow a single species of cycad in the world. The cycad nursery, picnic sites, day trails and information centre make this reserve a highlight on any tour to the Rain Queen’s Kingdom. This wilderness area incorporates the dam basin and peninsula of the dam. The dam offers good angling and boating opportunities. A caravan park and camping sites are available with ablution facilities, electricity points and braai facilities. 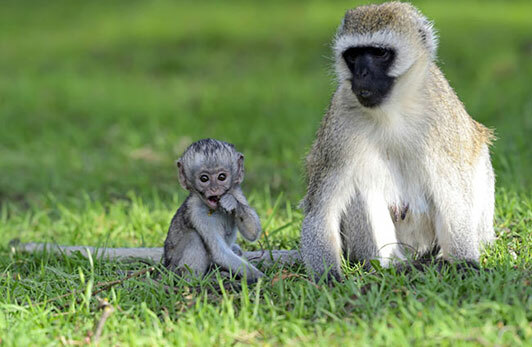 Is situated 38km from Tzaneen on the Eiland Road. 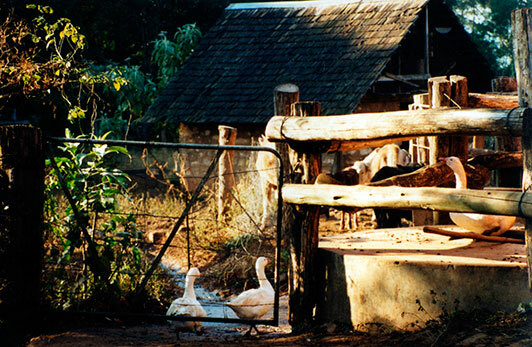 Hans Merensky is particularly popular for its four excellent hiking trails and is also home to the Tsonga Kraal open-air museum and the Eiland Spa resort. 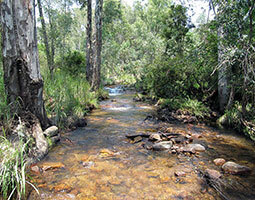 This area covers a huge 18 718 hectares of protected escarpment, scenic landscape, mountain vegetation and wildlife. Accommodation facilities are available with a conference room and swimming pool. Is situated only 96km from Tzaneen on the R71 route. 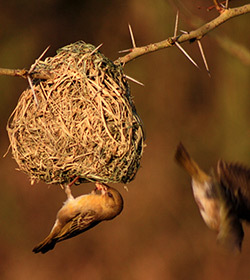 This world-renowned conservation park can be entered through the Phalaborwa gate. 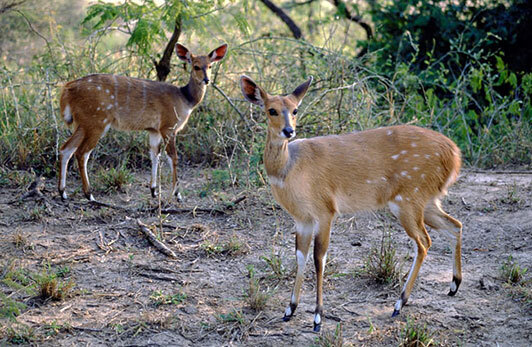 With nearly 2-million hectares of bushveld; the Kruger National Park is unrivalled in the diversity of its eco-systems and is home to an impressive number of animal, bird and plant species.